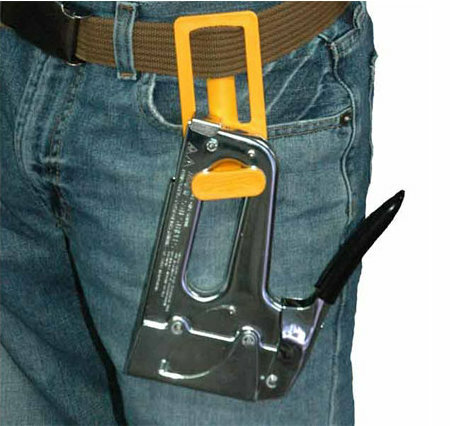 Currently viewing the tag: "CableOrganiser.com"
You can buy tool belt accessories to carry tape measures, hammers, and drills, but where do you stow your staple gun? If you had Arrow’s Gunslinger, you could hang it from your belt, too. It works with most of Arrow’s and many other brands of staple guns.